Having a healthy lifestyle is not only being in good physical condition. Achieve an integral welfare also depends on the mental condition of the person. Not surprisingly, a stable mental state enables you to make wise decisions, which are essential for meeting healthy living guidelines. Apart from physical exercise, a healthy life style is achieved through a balanced diet. In this regard, we must mention the existence of a number of foods that have a positive effect on the state of the brain. 1. Avocado. It contains omega 3 fatty acids and provides the brain a protection against premature aging. Its antioxidants also help to mitigate these adverse effects on the rest of the body. 2. Blueberries. Besides functioning as a strong antioxidant, this fruit prevents against degenerative brain diseases. Alzheimer's, basically, is the most feared example. 3. Olive oil. 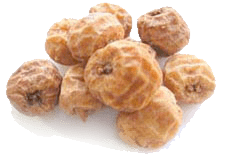 It is a food that apart from improving blood circulation and heart function, provides nutrients to cells, including neurons. 4. Chia seeds. It stimulate the connections between neurons and ultimately facilitates a smooth brain activity. 5. Tomatoes. Tomatoes contain lycopene which is an antioxidant substance and serves to combat various diseases. Among them are cerebrovascular diseases. 6. Green Tea. It is a drink that, broadly speaking, acts as a shield against diseases that affect the brain. In a more concrete sense, it mitigates the damage that over time affects our memory and thus protecting brain cells. 7. TigerNuts. They are widely known digestive virtues attributed to tiger nuts, but it should be clear that their use also brings benefits the brain. To cite one example: Bixquert Miguel (Professor of Pathology and Clinics and Chief of Gastroenterology of the Hospital Arnau de Vilanova -Valencia-) he said that groundnut is recommended to alleviate headache and dizziness stuns. 8. Cacao. It contains magnesium, an essential mineral in the nervous system. Moreover, their antioxidant principles prevent premature aging of the brain cells. 9. Fish. In particular, blue fish is a vital source of unsaturated fatty acids and phosphorus which particularly benefits the brain. Among other effects, it helps strengthen memory. 10. Broccoli. It's a plant that provides many nutrients, especially potassium and omega 3 fatty acids, whose contributions are essential to enhance memory and maintain brain health. In short you can also take care of the brain through food. WHy don't you follow our suggestions?